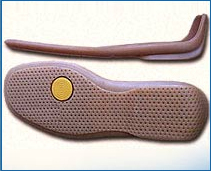 Avon Elastomers India - Manufacturer and Exporter of Thermoplastic Rubber,Synthetic Rubber for Footwear. Avon Elastomers India is one of the best and well established organization in the field of manufacturing and exporting. Its survival in this field is well deserved for its commitment and sincerity to its customers and suppliers. Based at, Agra, Uttar Pradesh, for four decades after its establishment in 1965, Avon Elastomers India is a trusted organization dedicated to its customers. It is a manufacturer and exporter of thermo plastic rubber compound, PVC compound and synthetic rubbers for footwear. It is also an importer of same products. Our products have wide range of satisfied clients, national as well as international throughout the world. Our products are acknowledged and approved by national as well as international clients for its commitment to quality service provided in time. Few of our many important clients include Hongkong, Taiwan, USA. The products meet the ASTM & DIN Standards. The raw materials used in manufacturing are genuine and reliable. We also have sincere suppliers who distributes us authentic and dependable products. The products meet the ASTM & DIN Standards. The raw materials used in manufacturing are genuine and reliable. We also have sincere suppliers who distributes us authentic. City Agra State Uttar Pradesh Pin Code 282 003 Country India.